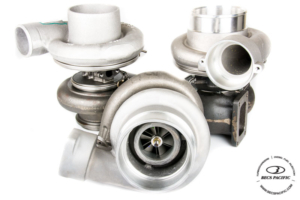 A distributor of high quality components and parts from leading turbocharger manufacturers such as Borgwarner, Cummins Turbo Technologies, Holset, Mitsubishi, Rotomaster, Garrett and many more. We offer new, BECS exchange, factory remanufactured and time/material options. 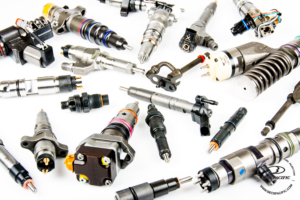 Diesel Injector Testing, diagnosis and repair for fuel systems from Bosch, Stanadyne, Denso, Delphi, Pure Power, Alliant Power and more. 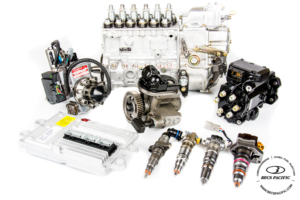 Diesel Injection pump diagnosis repair for fuel systems from Bosch, Stanadyne, Denso, Delphi, Caterpillar, Cummins, Detroit, Ford, GMC, Dodge, Isuzu and more. Our drive-in service technicians use the latest in scan tools and diagnostic equipment to get you back on the road quickly and affordably. Everything from turbocharger, fuel pump, injector and engine repair, to preventive maintenance programs. At participating locations only.